Don’t care much for the moody muted colour tones that so typically arrive with the onset of winter? Aussie linen brand Sack Me hears you. They’ve just launched their fabulous Paradiso collection – it’s loud and we love it! 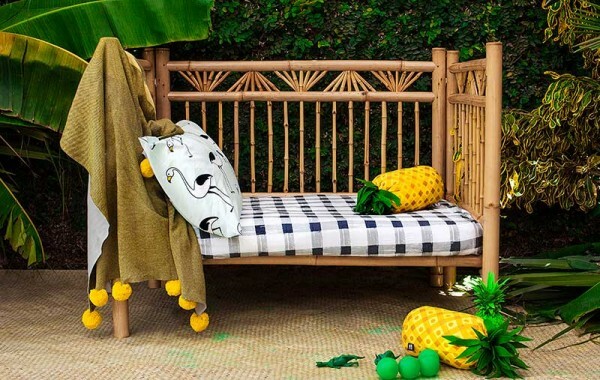 Add a fun tropicana vibe to the kids’ bedrooms this winter. I don’t see why you can’t and resistance will be futile once you feast your eyes upon Sack Me’s Paradiso collection. It’s brimming with all things bright, bold and bodacious. Hold on to your umbrellas here, folks, Sack Me has thoroughly spoiled us with this fun line. 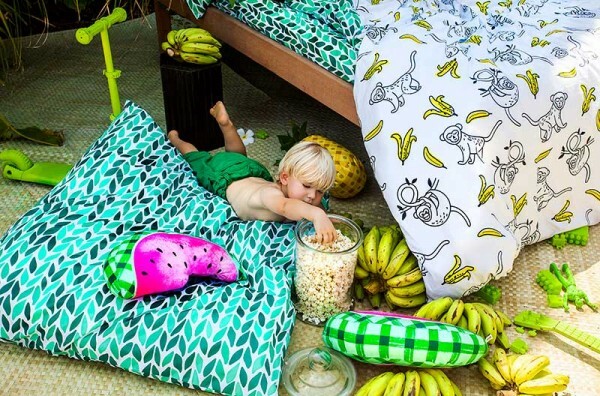 Not only are there several designs to choose from, including the vine-like Green With Envy print, the cheeky Monkey Business, Grey Gingham and the Flamingo in pink and mint, they’ve left no stone (or coconut) unturned by making sure all sized beds can receive a tropical treatment. 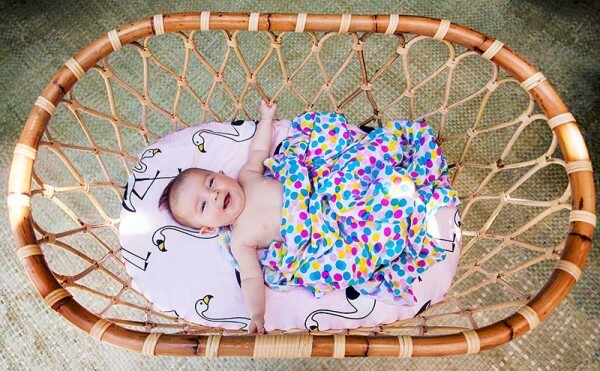 A gorgeous pop of colour for the bassinet, the Paradiso collection bassinet sheet, $39, can also live on as a change table pad cover. Genius! Perhaps what I love most about Sack Me is that they make all of their pieces available separately so you can mix it up as much as your retinas can handle. Pillowcases are priced from $35 each, flat and fitted sheets are priced from $49 and cot quilt covers priced $99. Feel your space could do with more of a fruity feel? 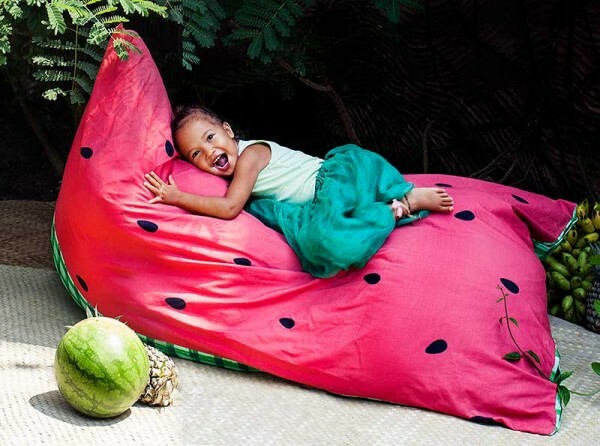 Apple, watermelon and banana cushions are available, as are some rather comfy looking beanbags. And for the ultimate treat, coordinate the toys’ sleep space to match, with doll bedding priced at $29 a set. To see the whole collection and make your delicious purchases, hop skip or jump on over to Sack Me.